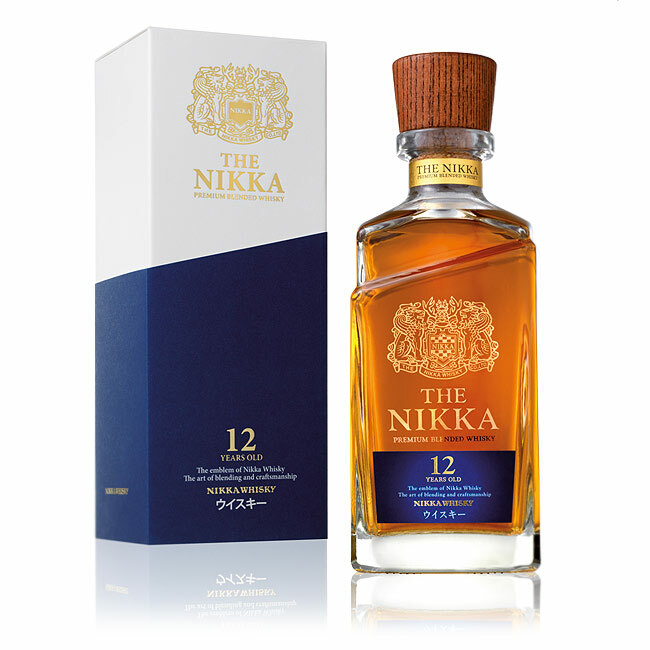 Iconic blend by the historical Japanese producer, “The” Nikka 12 years is a worthy showcase of the Nikka blenders’ know-how and skill. With a majority of malt whisky from Nikka’s two distilleries in northern Japan – Yoichi and Miyagikyo – and a grain whisky distilled in a Coffey still, all the elements at the heart of Nikka are brought together in one exceptional whisky. The asymmetric design of the bottle was inspired by the overlapping layers of “Kimono”, representing the many layers of Nikka’s tradition inherited by its founder Masataka Taketsuru. burnished gold with orange hue. both lively and serene. Dark chocolate provides the backbone of mouth-watering bitterness. On one end, the malted barley extends to earthier notes, while on the other, fresh fruits (apple, prunes, mirabelle and greengage plums, pear) are reminiscent of a plentiful harvest. With air, honeyed and floral notes (lilac, lilly of the valley) make their appearance.